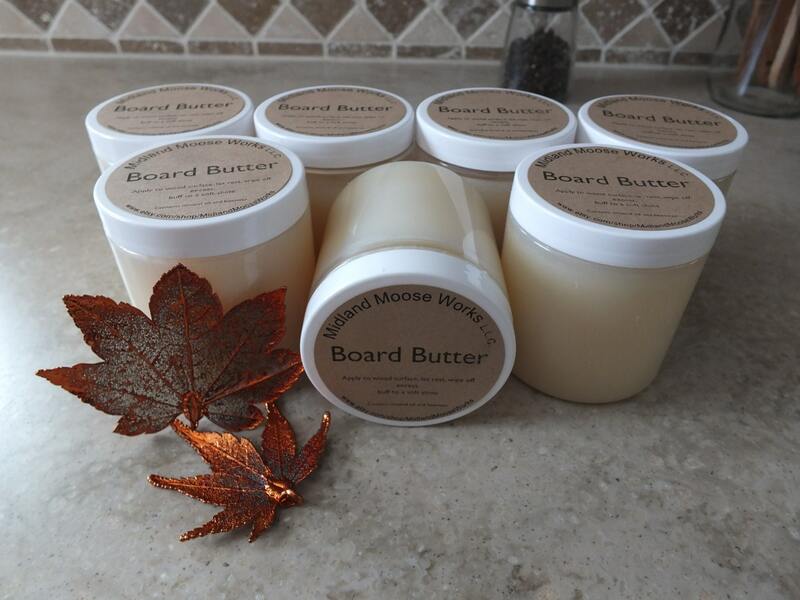 Board Butter is a blend of food grade mineral oil and beeswax. Just like our Bee Oil, but contains a higher percentage of beeswax to form a soft paste. Apply frequently to keep all your wooden kitchen items beautiful and well conditioned. 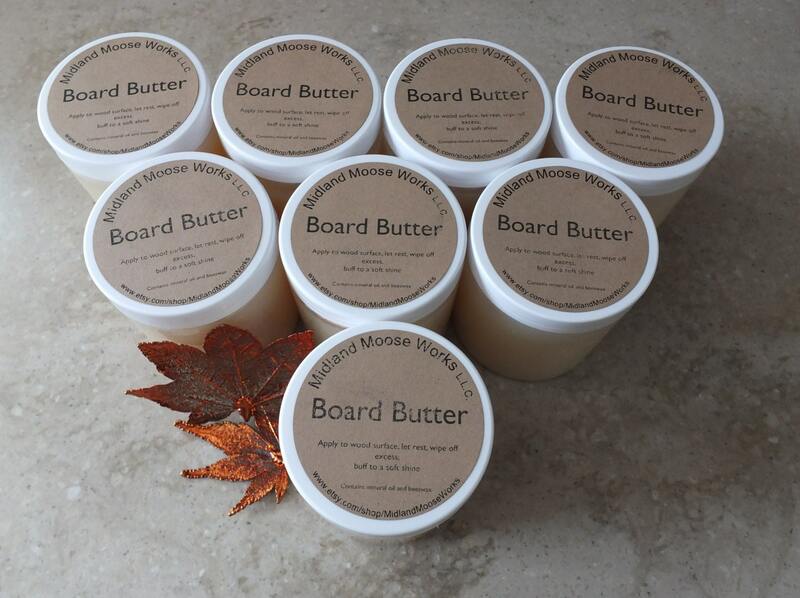 The mineral oil penetrates the wood, while the beeswax creates a layer of soft shine and protection on the surface of the board. Apply paste sparingly to board. Let stand for several hours, buff to a soft shine. This jar contains 8 oz. of mineral oil and beeswax blend.